Light snacks or full meals, for lunch-time or evening, as a starter or a main course: the savoury recipes of Vaud are as varied as the local products they are made from! Look through our selection and give your guests a treat with dishes full of flavour and Vaudois tradition! Whether an easy recipe or something more complex, a winter dish or a summer salad, our suggestions will satisfy your every desire! The star of Vaudois dishes, “papet” is eaten in winter. It is a leek and potato hotpot, accompanied by the unique cabbage sausage, easy to make and appreciated by everybody. When the weather is cold, you can warm up quickly with a good soup made from fish from the lake or nettles, both also easy recipes. When the fine weather returns, you can feast on a dandelion salad to mark the arrival of spring. Cheese fans accompany their salad vegetables with a Tomme Vaudoise fried in breadcrumbs, delicious at any time of year. With good ingredients, nothing is easier to make than these light dishes! With a little more skill, one can tackle the traditional recipes for Malakoff (a cheese fritter on bread) or Gâteau du Vully (made with cream, bacon and cumin). Enjoy your meal! The best-known version of this famous tart is made with sugar and cream and generally called “salée au sucre”, but there’s also a savoury version made with bacon and cumin.Simple and delicious, the Vully tart is available in all good bakeries in this Northern Vaudois region and sometimes even beyond. 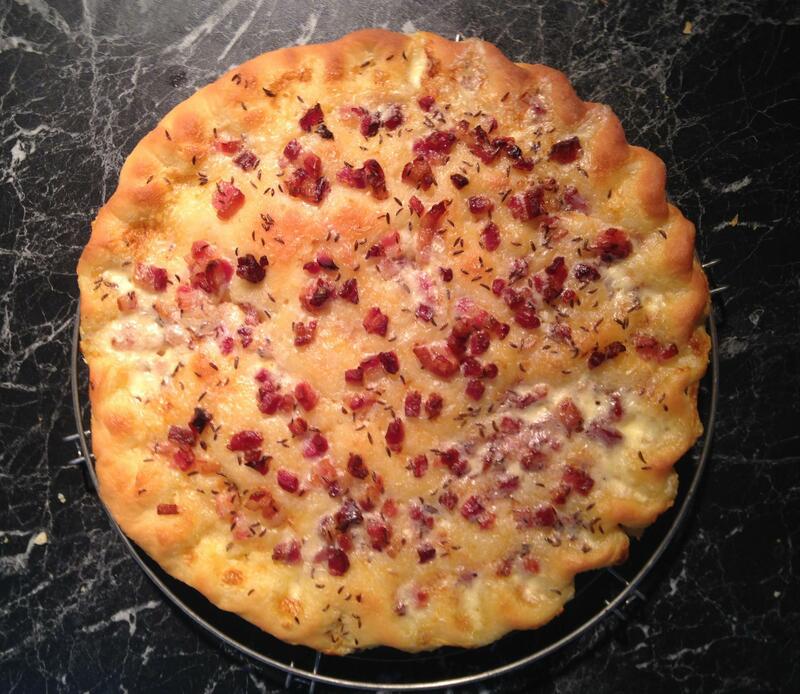 In the Avenches area, it’s made at home, often using a family recipe. In the olden days, Gâteau du Vully was more common in its savoury version, flavoured with bacon and cumin, and enjoyed with a glass of chasselas as an apéritif. Recipes were shared and exchanged at the communal oven while the tarts were baking. This delicious and easy recipe is a seasonal dish enjoyed either at a restaurant or at home, when the weather gets colder. This potato and leek mash is always accompanied by an PGI cabbage sausage, which is split after cooking to enjoy its tasty meat to the full. This recipe combines a salad's freshness, the creaminess of Tomme vaudoise and all terroir flavours. This easily prepared dish will not fail to impress your cheese-loving guests. As an all-season delight, breaded Tomme vaudoise is listed in many menu cards in the region.